It is clear that Sony PlayStation 4 is one of the best video game consoles in the world as well as the Microsoft Xbox One. But the PlayStation 4 is not only a top video game console, it is also a powerful home media center for share photos, music and videos to HD TV for playing and sharing. Many common video formats such as MP4, AVI, MPEG are supported by PS4 for playing, but iTunes movies are not included. The video downloaded from iTunes is packed in M4V container which is DRM protected. These videos are only allowed to be played on Apple devices like iPhone, iPad, iPod and Apple TV. So what if we want to watch iTunes movie on PS4? If you want to copy and transfer iTunes M4V videos to PlayStation 4 or the latest PS4 Neo and PS4 Slim, you should take away the DRM from iTunes videos first. 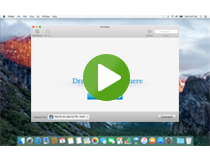 In order to remove DRM from iTunes M4V video, you will need a iTunes DRM Video Converter. M4VGear is developed to solve this problem and help to remove DRM from iTunes purchased and rented videos with fast speed. It is the best iTunes Video DRM Remover tool for both Mac and Windows users to convert iTunes DRM M4V videos to unprotected MP4 format or other common video formats for playing on all kinds of video players and devices including Sony PlayStation 4, PlayStation 4 Slim and PlayStation Neo. Choose output formats supported by PS4 from the button after "Convert to". Output format as "Same as source for MP4" is highly recommended, which enables users convert at 20 times faster speed with all subtitles and Dolby 5.1 audio track preserved. Tip: If you want to change the output path, just go to "M4VGear > Preferences... " and choose the folder that the program exports the converted video to. 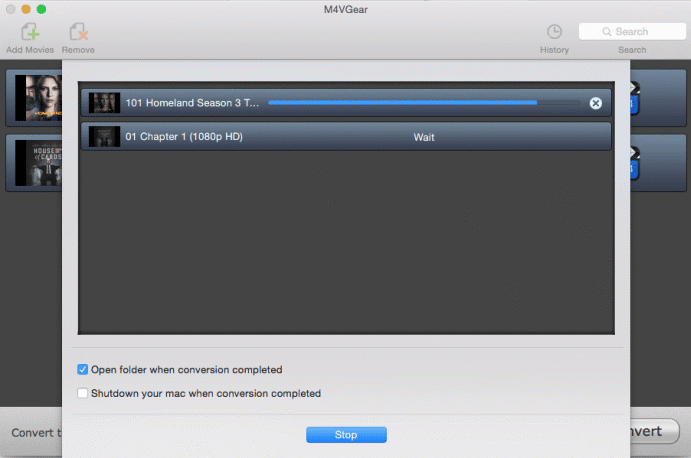 Click "Convert" button to remove DRM and transfer iTunes M4V to plain format. Wait for a while till the conversion is done. Benefitting from an innovative DRM decrypting technique, M4VGear removes the DRM from iTunes M4V videos with a 20X faster speed. After the conversion finished, you can get the unprotected MP4 videos with high quality and with subtitle as well as audio track preserved. 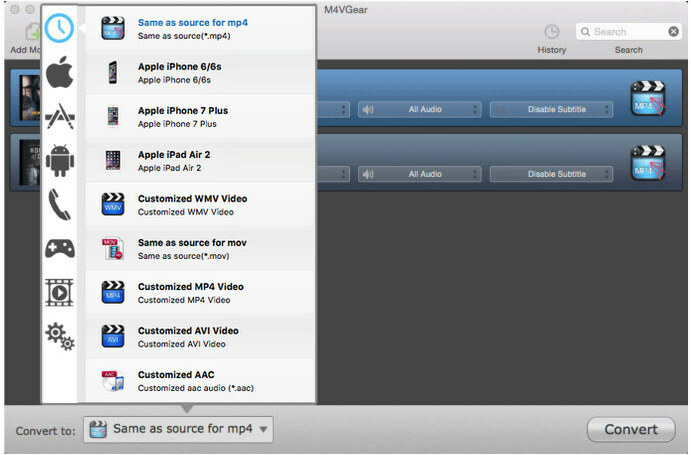 Then, you can transfer these MP4 videos to any video players or devices for playing. As for the PlayStation 4, you need copy the video files to mobile HDD and connect it to the PS4. Finally, you are able to play the iTunes M4V videos on PS4 with high video quality. 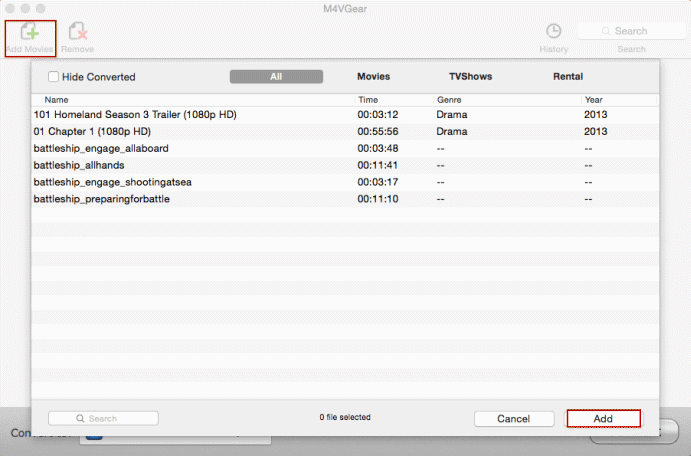 Tips: M4VGear will offer you a 1 minute free trial which lets you convert one minute of iTunes rentals for free. If you want to unlock the time limitation, please purchase M4VGear. The price now is 44.95, decreasing from original $49.95 by $5. Seeking some ways to play Apple Music on PS4? Sidify Apple Music Converter enables you to remove DRM from Apple Music tracks for transferring to PS4 losslessly at 20X speed, while keeping all the ID tags and metadata. 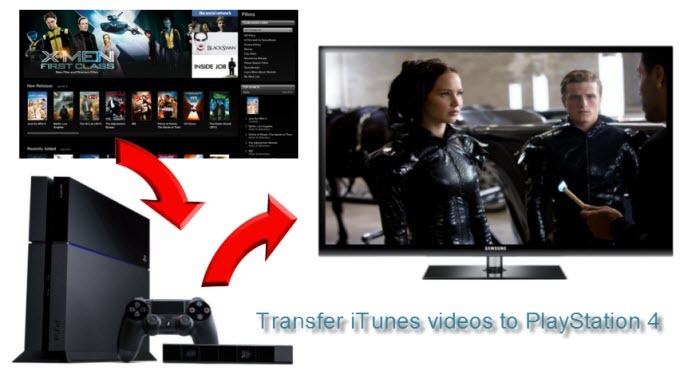 How to Transfer iTunes Movies, iTunes Music & Apple Music to PS4 Neo?